Apple unveiled a swathe of new services headlined by Oprah Winfrey, Steven Speilberg and other celebrities earlier this week. It was the first time in the company’s 43-year history that a major Apple event went by without a single hardware being unveiled. History will look back at this inflection point, describing it as another quantum leap forward for Apple or a major strategic failure. Most importantly for me, the much rumoured Apple News+ service was finally unveiled. For news readers, this means catching up on the latest information is just a click away. However, some in-depth articles are still behind a paywall. It’s not possible to subscribe to all the magazines and newspapers I want to read. So I still have digital subscriptions to Wired, Vanity Fair, Business Week, Fortune, Time and The New York Times. Collectively, they cost about US$400 (S$540) a year. 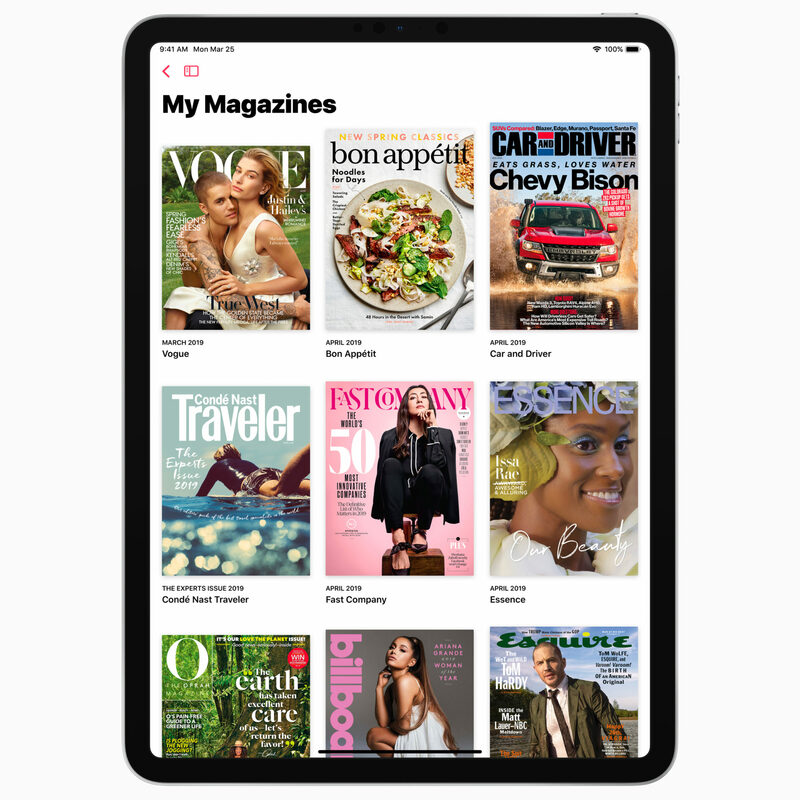 Now with Apple News+, for US$9.99 (about S$14) a month or about US$119 (S$161) a year, I can read all these magazines except for The New York Times, but more on this later. There are savings of about S$380 a year. The real bonus is I have access to about 300 other titles many of which are currently behind a paywall. I get Runners World, Real Simple, The New Yorker, Fast Company, National Geographic, Vogue, People, Oxygen, Captain Marvel, Food & Wine, Harpers Bazaar, Popular Science, Tennis, Scientific American. You get the idea. If I were to subscribe to all the 300 magazines, I would have to pay US$8,000 a year. The titles do offer free content but the really exciting articles usually appear in the magazines which require subscriptions. Some titles have a freemium model, namely a number of articles are free a month after which a subscription is required. Most frustrating is as long as you click to open the article, you’re deemed to have consumed one of the X number of free stories allowed. From a consumer’s point of view, News+ provides an appealing service because it does away with the friction of being unable to access the content that I am really interested in. It appears as a pre-loaded app in every iPhone sold in the United States and Canada, and in other countries the service will soon be available. Many people here in Singapore have a US iTunes account which allows them to subscribe to Apple News+. However, Apple is silent about the service being available in Singapore. What you get is a virtual newsstand where with you can scan the headlines currently grabbing reader interest. It also offers personalisation, so you get content on the topics that are of significance to you. The buffet style of service is attractive. I can’t afford subscriptions to many magazines, just to read selectively a story here and there. Hence, a monthly fee to access all the content I want is appealing. Apple News+ is doing to news, what Spotify has done to music and Netflix to TV and movies. The idea for Apple and these other platform companies is about providing a wide range of content for a low monthly price. So what’s new with News+? To be fair, all-you-can-eat magazine services are not new. There’s Magzter Gold and Readly, each costs US$9.99 a month. Each offers access to more than 3,000 magazines. Then there’s Kindle Unlimited, which for US$9.90 a month gives free access to over a million Kindle titles including ebooks, audio books and magazines. In trying to consolidate my subscriptions, I’ve tried Magzter Gold but ended up frustrated. For US$9.90 a month, it surfaces the local and regional magazines including different language versions like Spanish when I’m only interested in the global English editions. Some titles also do not offer their current editions. A few were backdated to September last year. I cancelled this subscription. As a Kindle Prime member, I have access to about 1,000 free ebooks, audio books and magazines. But not all the latest blockbuster books I want to read are available. The magazines do not include those I care about. These services also have limited search and curation of articles which are available in News+, which steps up the competition leveraging its design and AI expertise. Trying it out on the iPad and on the Mac, I can say the user experience is unique. I like the animated covers, customised photos and infographics. Search is possible across multiple titles. Navigation is effortless within and across magazines. The dynamic layouts seamlessly adapt themselves to iPad, iPhone and the Mac. However, I don’t enjoy magazines on the iPhone. Even with the iPhone XS Max, the screen is too small to enjoy reading a magazine. The service recommends content I might like even if they are from magazines I don’t typically read. New issues when released are also automatically downloaded for offline reading. News+ still has a big piece missing: newspapers. Only three major newspapers – The Wall Street Journal, the Los Angeles Times, and the Toronto Star – are available. Perhaps, discussions to offer other newspapers are still ongoing. As of now, Apple can’t quite call itself a digital newsstand just yet. Then there is the privacy issue. 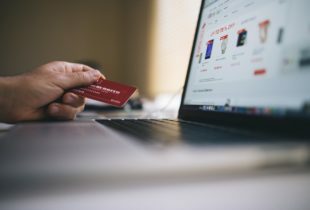 There isn’t much concern locally about personal data being collected by the big tech companies. But I am uneasy as I don’t want to be tracked and have my personal data monetised by another company. News+ highlights privacy like all of Apple’s new services launched on March 25. There will be no ads. Marketers can’t use my usage pattern to track what I’m reading and send me targeted ads, according to Apple. From the news publishing and tech industry perspectives, there are many concerns, one of which is that Apple is not doing much with News+. At the basic level, it is still a gallery of magazines and editions albeit with an improved presentation and ease of use. Another concern is that reading magazines on the tablet or Mac is good but an utterly awful experience on the iPhone. I would like to see as a next step, Apple being able to present the newsstand with a digital-first approach, breaking away from the gallery-like model associated with the industry for decades. Hopefully, that will be soon.